Here’s one from the veteran (over 15 years) of trance / electronic music Christopher Lawrence, this track called “Halo” and it is the original mix. Here’s a newer track by veteran trance dj and producer Christopher Lawrence. The track is called “A Little Rush” featuring vocals by Suzie del Vecchio. Here’s a bootleg remix of U2 - I’ll Go Crazy If I Don’t Go Crazy Tonight by Christopher Lawrence. 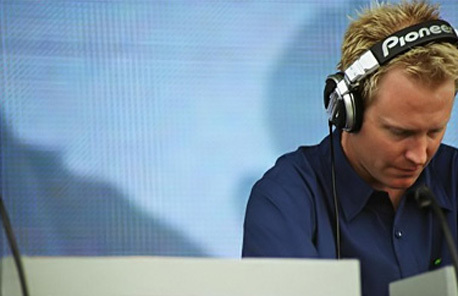 Christopher Lawrence is recognized as one of the World’s top DJs and producers and he was voted the #4 DJ in the world by DJ Magazines prestigious Top 100 poll for 2006. He was called “A Superstar DJ” by the USs URB and considered “One Of The Most Popular DJs On The Global Circuit” by DJ Magazine. In a world dominated by European and UK DJs, Christopher has risen to the top of the international dance music heap and Chris is now one of the biggest, most respected and popular names in dance music today. An American dance music export, who now lives in Australia, he is now a key global player spinning his own style of trance sets on main stages at the world’s biggest festivals and dance clubs. Here is one of Christopher Lawrence’s newest track in collaboration with Dave Aude. It’s called “Lie To Ourselves.” Great Trance tune by the American Trance DJ / Producer. Enjoy!